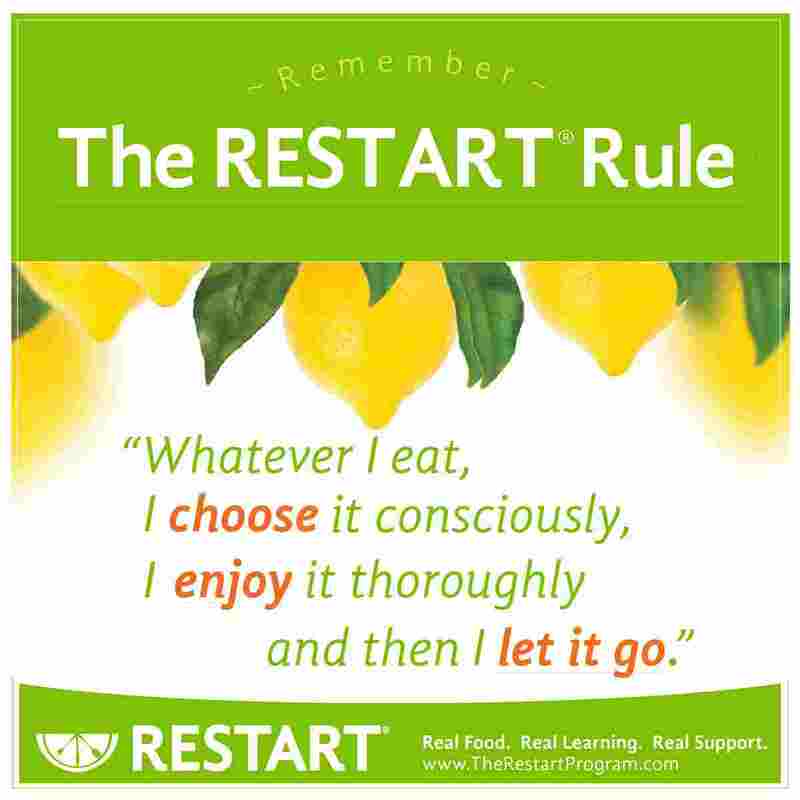 The Restart® Program is an empowering combination of nutrition education, a sugar detox, and support from your peers. It’s a simple and powerful way to give your body a break from sugar and processed foods. With a three-week sugar detox built in, the program focuses on how to use REAL FOOD to boost your energy, reduce inflammation, and get rid of your sugar and carb cravings. WEEK 1: How to prepare for your REAL FOOD sugar detox. Learn tips to get yourself ready physically, mentally, and emotionally for a successful experience. WEEK 3: Everyone KNOWS sugar in excess is bad, but do you know why? Here you’ll learn how your body responds to sugar and refined carbs, and learn how to get off of the sugar roller coaster. WEEK 4: The truth about fats. What the good ones really are and how to incorporate them into your diet. You may be surprised by what you learn! WEEK 5: YOU DID IT! You can move forward with your success and keep feeling great! 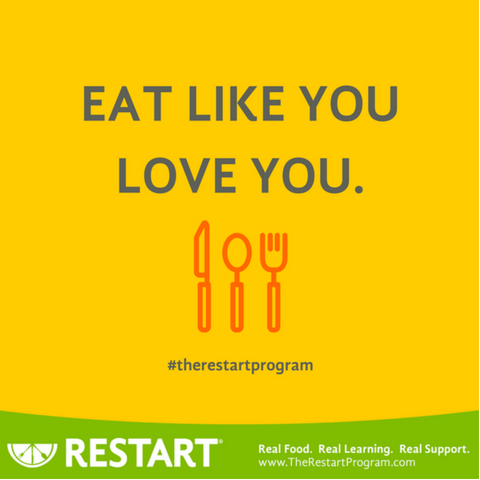 Learn how to integrate the tools and skills you’ve acquired through The RESTART® Program. Enter your name and email and I'll be in touch with the rest of the details. 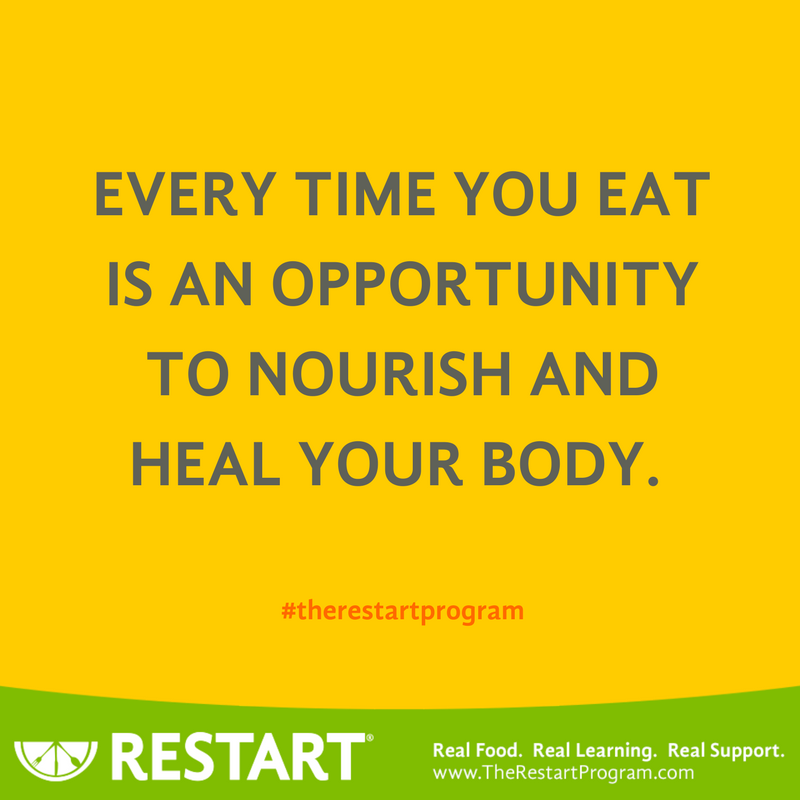 This is an opportunity to clear the sugar, processed, and refined foods from your system and learn to eat nutrient-dense foods in a sane and sustainable way! Stay up to date with posts, recipes, nutrition classes, and more!